Raab Plumbing & Heating is a plumbing company serving Capac MI that uses the latest technology in the plumbing industry to provide you with the best service available for all of your plumbing needs. 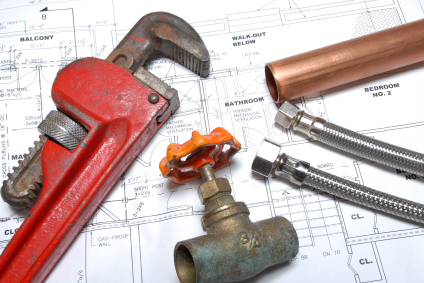 We are a professional plumbing service that repairs, replaces, remodels, re-pipes and installs. We also provide HVAC services, heating and cooling services, furnace cleaning and repair, air conditioning service and much more for out clients in Capac MI. We promise the highest quality of service, outstanding products, friendly advice and competitive rates. At Raab Plumbing & Heating we understand that your time is extremely valuable. We respect your scheduled appointment time and will be there promptly. We work quickly and come prepared for any unexpected circumstances. This assures that your job will be completed in a timely fashion. We carry only the best brands in the business. Brands such as: Kohler, Moen, Delta faucets, AO Smith, American Standard, State water heaters, Gerber, Toto and many, many more. Plumbing products include: whirlpool, bath tubs, faucets, Toto toilets, tankless water heaters, water softeners, plumbing fixtures, sinks, drains and hard to find parts. We can help with your remodeling jobs. Kitchen remodels and Bathroom remodels. Just about anywhere plumbing services are required. Barry Raab, the owner of Raab Plumbing & Heating, is courteous and knowledgeable and has over 35 years experience in the plumbing and HVAC fields. Barry will travel to Capac MI to assist you personally. From your first call until the job is finished to your satisfaction. Being a master plumber, he stands behind all of his work and is confident that you will have a positive experience with Raab Plumbing & Heating. We aim to be Capac Michigan's preferred plumbing service.